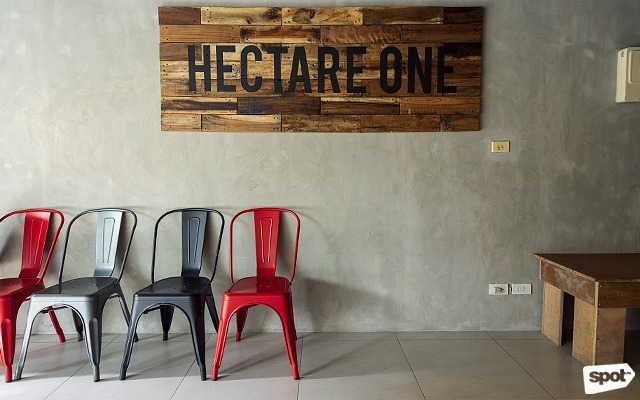 Hectare One is where all their projects come to life. (SPOT.ph) From the street, the entrance to Hectare One is unassuming. 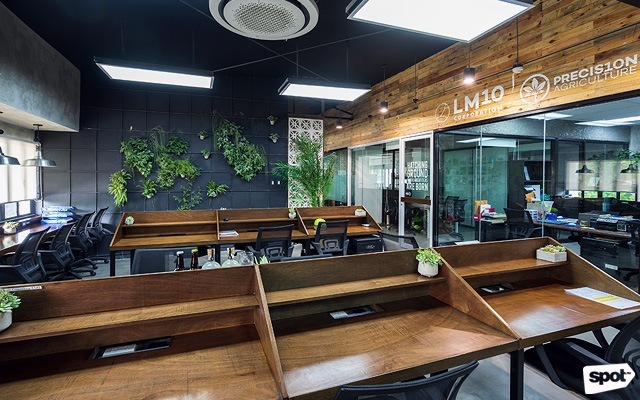 If not for the set of Philippine, French, and Argentinian flags fluttering atop the modest two-storey building, passersby wouldn't have the slightest idea that entrepreneurs Erwan Heussaff and Nico Bolzico's office is here. Besides indicating Heussaff and Bolzico’s heritage, the flags offer a clue about how Hectare One is a place where cultures meet and mix—and the fusions go beyond nationality. 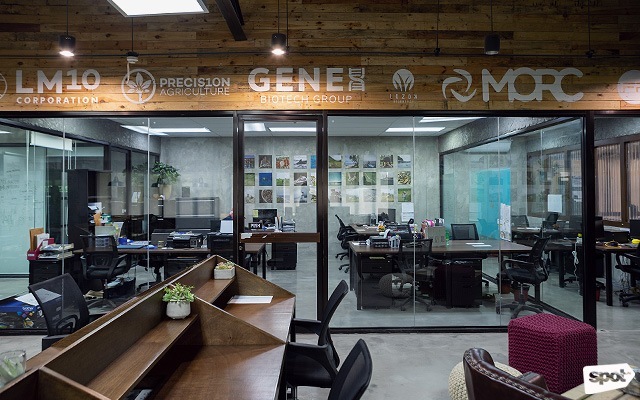 Inside, disparate worlds come together: Bolzico’s farming and fishing businesses seamlessly coexist with Heussaff’s vlogging projects, creating a space for joint ventures to emerge. 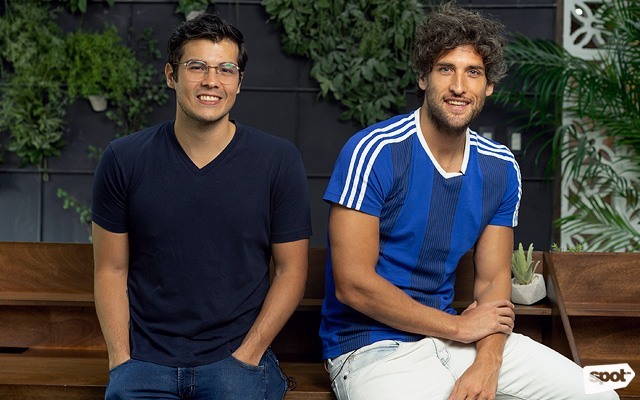 Erwan Heussaff (left) and Nico Bolzico (right) are involved in related fields. Heussaff puts it best, saying, "He works in agriculture, I work in food, and those two things go together perfectly, just like our relationship." An Isabel Diaz painting is the first thing you'd notice upon entering the office. 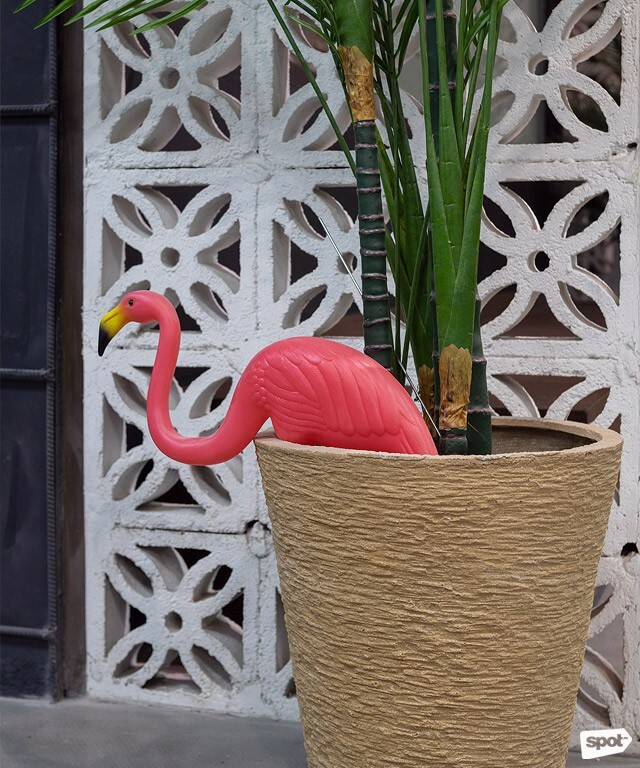 Pink plastic flamingos can be found in random areas of the Hectare One—Erwan and Nico’s idea. 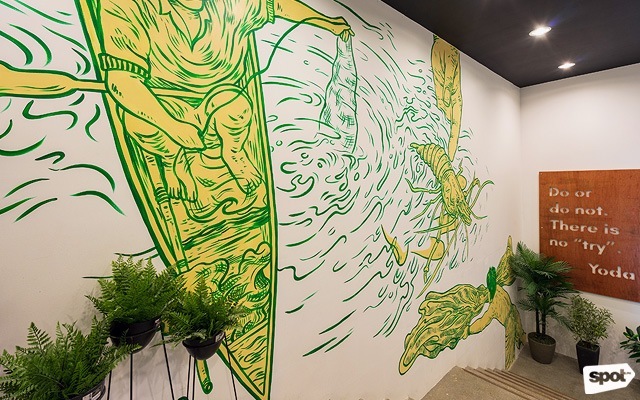 The theme of natural elements paired with fun details is common throughout the space—a reflection of Heussaff and Bolzico’s unstructured but serious approach to work. 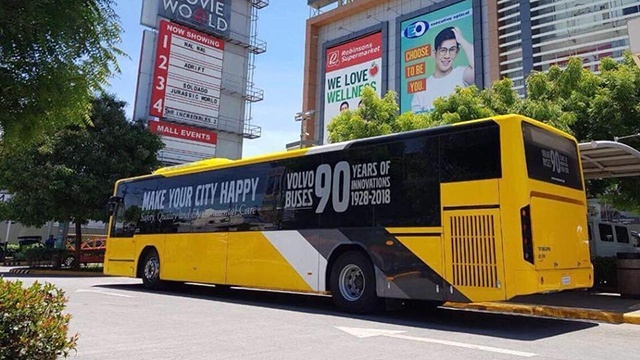 While the two entrepreneurs are known for their light-hearted personas (Bolzico’s social media presence in particular is known for showcasing pranks and jokes), they are also seriously hardworking. 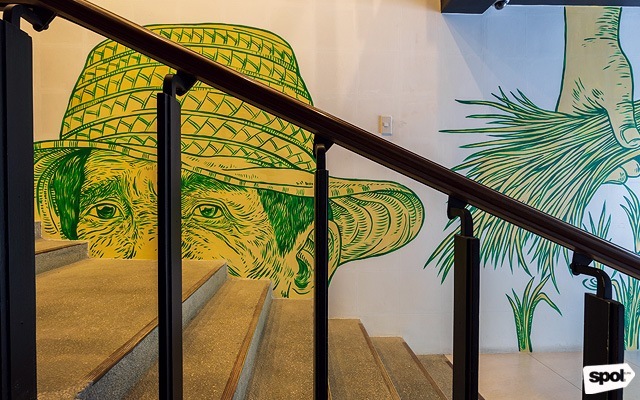 “We wanted [the design] to fit our personality,” says Heussaff, who sometimes clocks in at 11 a.m. on workdays but also likes spending Sundays at the office “because it’s such a calming space.” And sure enough, with its natural light, pink plastic flamingos hiding in the potted plants, and the ergonomic workstations, Hectare One is that rare setting that manages to be laidback, fun, and conducive for work, all at once. For this space, the warmth of wood is used to counter the coldness of concrete. 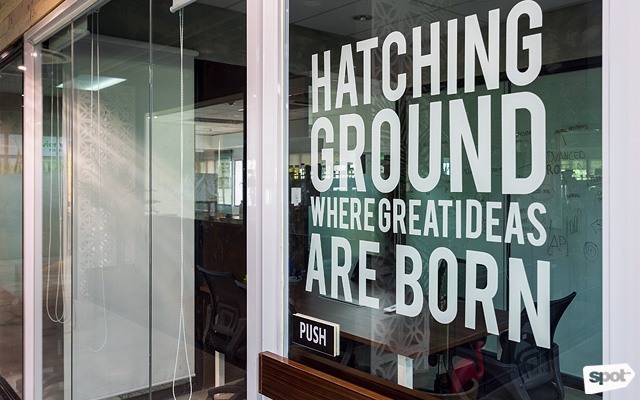 Although glass partitions offer a bit of privacy, they also create an open atmosphere that invites collaboration. 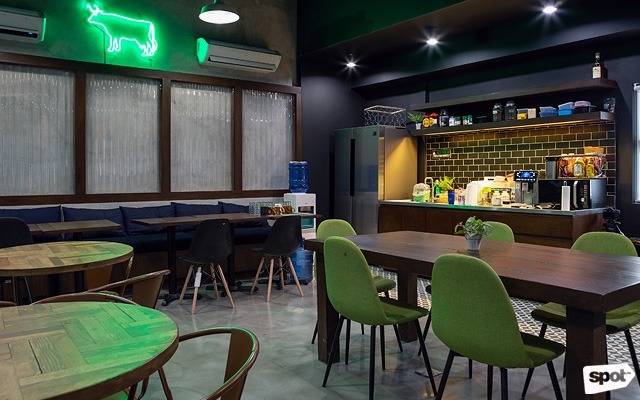 The cow neon light in Hectare One’s pantry is just one of the many details custom-made by Studio Mara's Collein Gonzales, Pope Egwaras, and Nikki Palma. 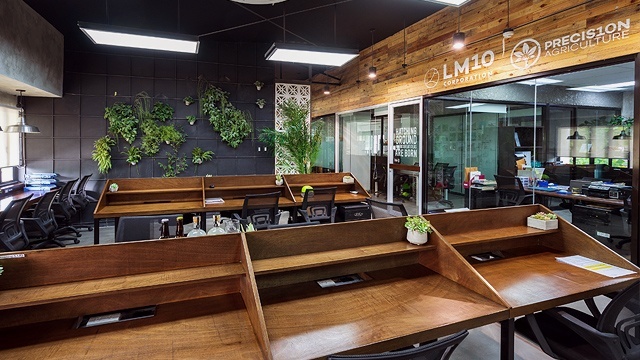 One of the features that helps their workflow is the open floor plan. 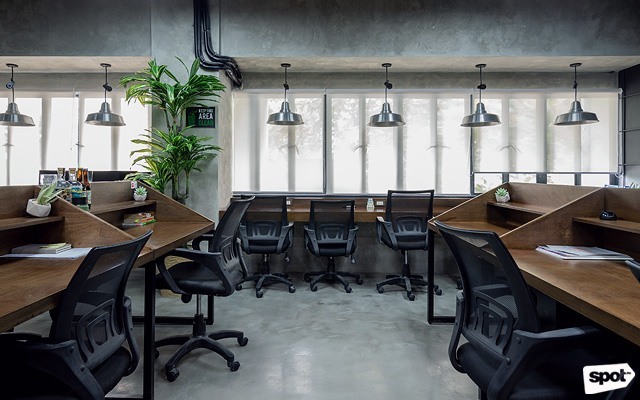 During the design process, Manalo says that she made sure “the layout would be cohesive [and] breathable in terms of sound and light.” As a result, the openness of the co-working area, paired with the clear glass partitions of the more private offices, make every workstation easy to approach for quick collaborations. 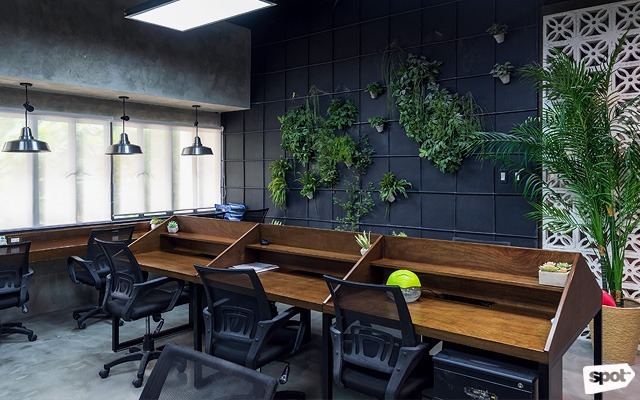 It's worth noting that Hectare One also functions as a co-working space. As such, Manalo recognizes the need for flexibility in terms of layout. While the desks were fixed, the designer made it a point to have spillover spaces where people could gather, like the pantry or the casual seating area in the main hall. The vlogs for Heussaff’s YouTube channel, The Fat Kid Inside, are shot in this kitchen-slash-studio. 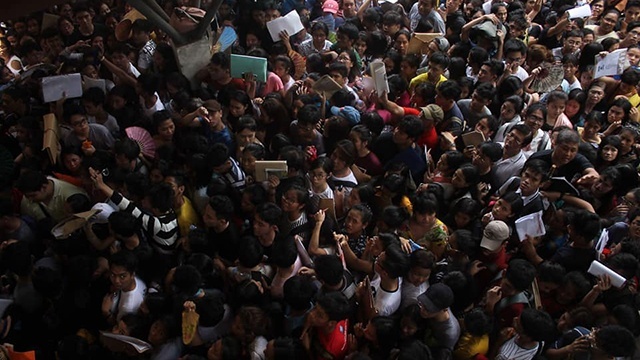 Heussaff and Bolzico bring the value of openness into their own projects as well. Bolzico says that since moving into Hectare One, he and Heussaff have been collaborating nonstop. “Even different projects where Erwan is not involved, I call him in [for] his insight,” he says. Likewise, Heussaff has been inviting Bolzico into the kitchen studio, where the foodie’s popular vlogs are created. In fact, with shelves lined with gin, a refrigerator stocked with fresh ingredients (some from Bolzico’s Argentina farm! 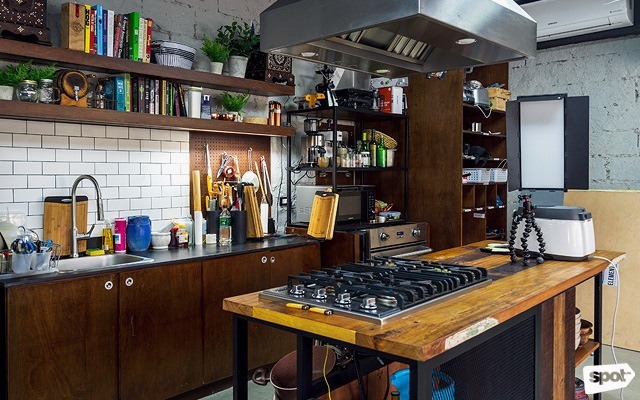 ), and Heussaff’s cooking, it’s no surprise Bolzico declares this as his favorite room in the office. And yet, objectively, the kitchen isn’t much different from the rest of Hectare One. Like all the other areas, the kitchen is a place of both productivity and camaraderie. Even the fact that Heussaff’s kitchen island was tailor-made to his movements during shooting for his vlogs isn’t a standout detail, since all the furniture in the office was custom-built. 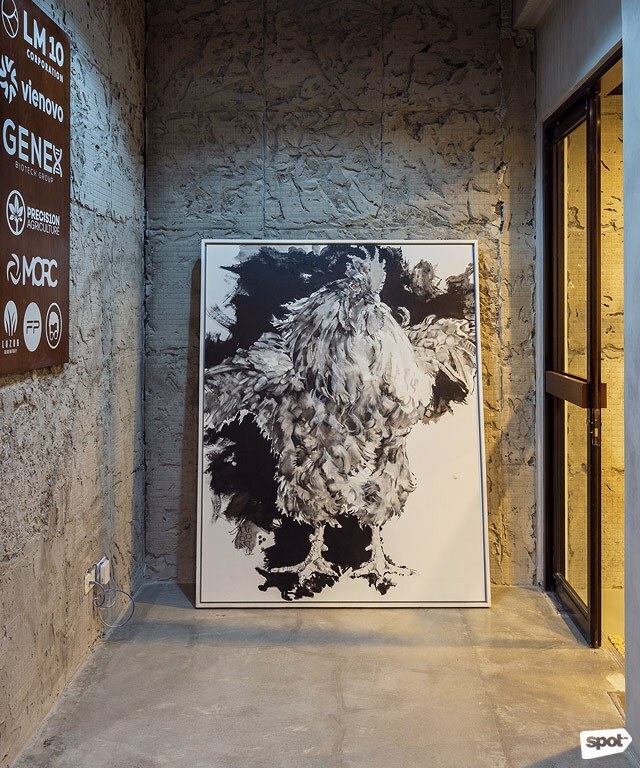 What makes this space truly special is that it is where the many threads of Heussaff and Bolzico’s seemingly eccentric interests come together to make a wide-reaching tapestry. 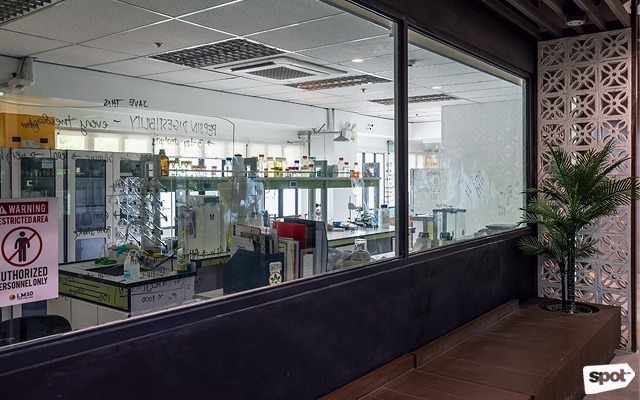 Bolzico’s science laboratory is where the chemists of his agri-tech company, LM10, test their agricultural materials.